I don't know man, what if..
..what if I never find out who's a good boy? 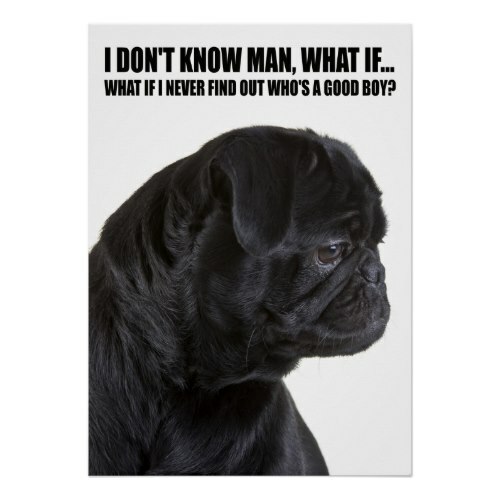 A funny, hilarious photo poster featuring a worried black pug sharing his concerns, man. Photograph by Michael Kloth. Great for room decor, a fun poster for all dog lovers, pug owners. Makes a fun birthday, christmas, holiday, or mothers day gift for pet owners. A completely customizable poster, you may change its size, paper type, and add a custom frame to it, when ordering!